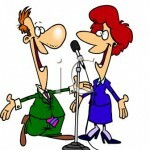 Some galas are so special, they deserve TWO benefit auctioneers. If your gala auction is ready for something new, make it a double. To the delight of your audience, we’ll pair an entertaining male and female auctioneer to engage in banter and back-and-forth sales. At one gala during the depths of the recession, a tag-team approach brought in a record-setting thousands of dollars more. Despite the lowest attendance ever, the nonprofit was saved with a hugely profitable night. How does it work? It has to do with how we manage both the silent and live. A tag-team is your secret sauce to greater participation and increased fundraising … and guests love every minute. The team of benefit auctioneers will work in different ways. Sherry works with several award-winning male auctioneers (see one tag team pairing in the video below) to pull this off. “180º turn-around” galas. If your auction is on its last leg and this year is either the “make it or end it” gala, this style is appropriate. If you’re seeking critical financial improvement or just outrageous energy and fun, our tag-team benefit auctioneers fit the bill. Here’s what clients have shared. Thank you for another incredible Chef’s Best! The auction was the highlight of my night and we truly appreciated yours, Bill’s and your team’s efforts and enthusiasm! Can’t wait to work together again. Have a wonderful summer! The bag in the photo was filled with cookies, which I devoured. This auction had experienced sliding revenue and apprehensive donors before we started working together. Over the last three years, revenue has steadily improved. Our national organization hosts two-to-three auctions a year throughout the country. Our largest and most profitable is our annual Gala Auction held in Washington, D.C. in October. We have hosted this auction for years and utilized many other auctioneers, but never have received the turnout and the results as we had this year since choosing Sherry and Red Apple Auctions. 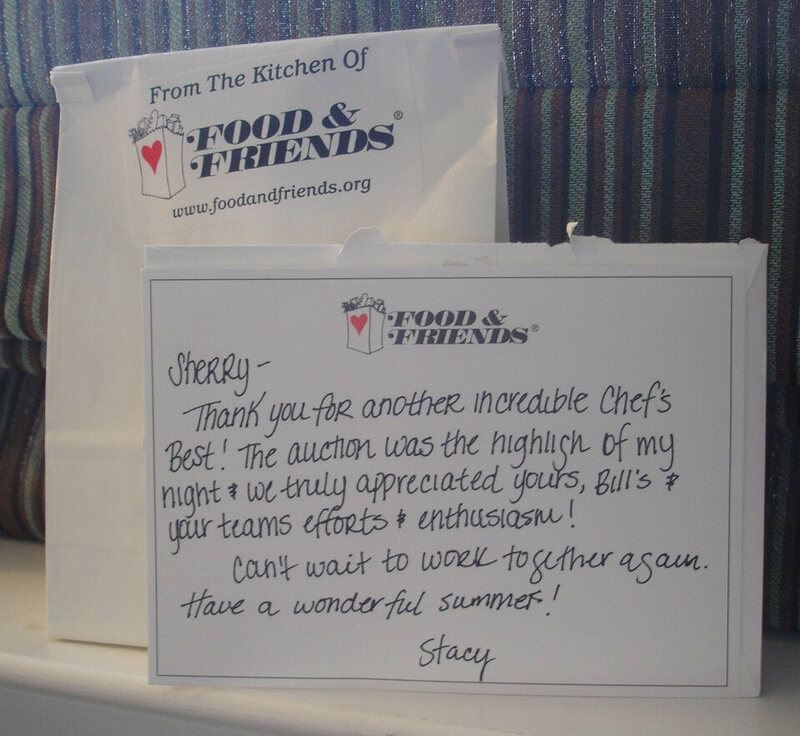 Sherry was terrific from the beginning until the end and her team was detail-oriented and fantastic to work with. Our crowd also loved Col. Bill. Even months after the auction, I still field calls from bidders saying that they had the best time – and our bottom line really reflects this enthusiasm. My advice for those thinking of hiring Sherry and her team is to book your appointment right away because Sherry will blow you away with her passion, knowledge, experience and great ideas!